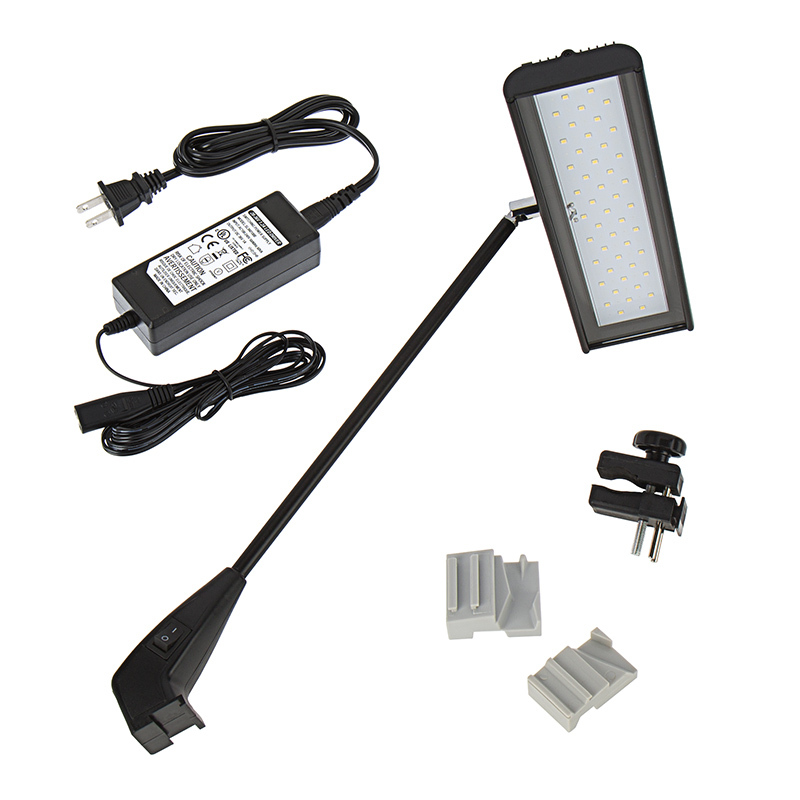 These LED Display Lights are a convenient solution for trade show lighting, exhibition lighting, portable booth lighting, museum exhibits, or retail display lighting. 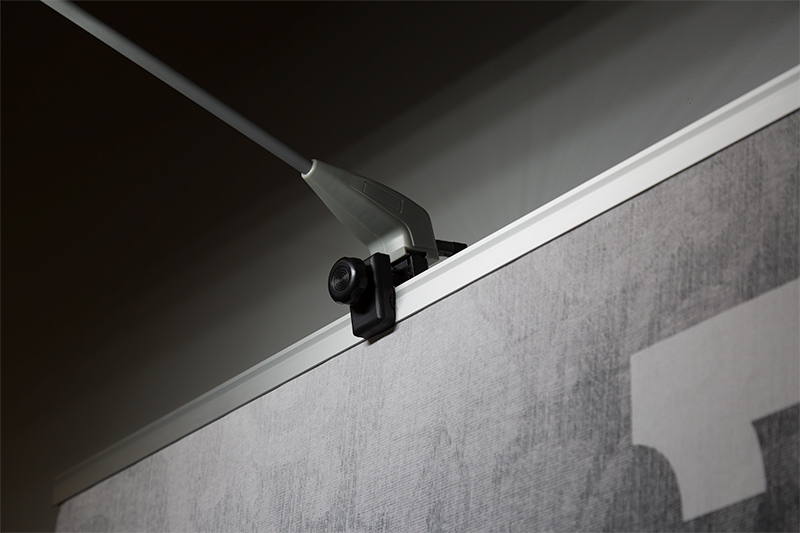 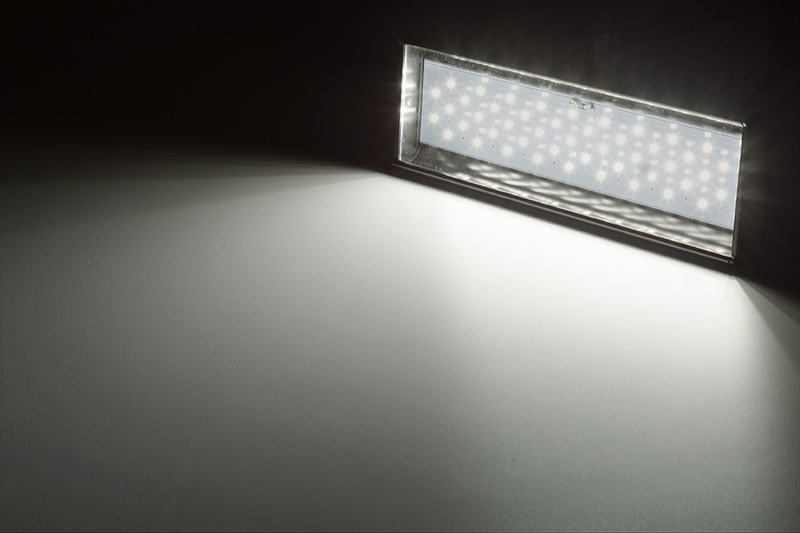 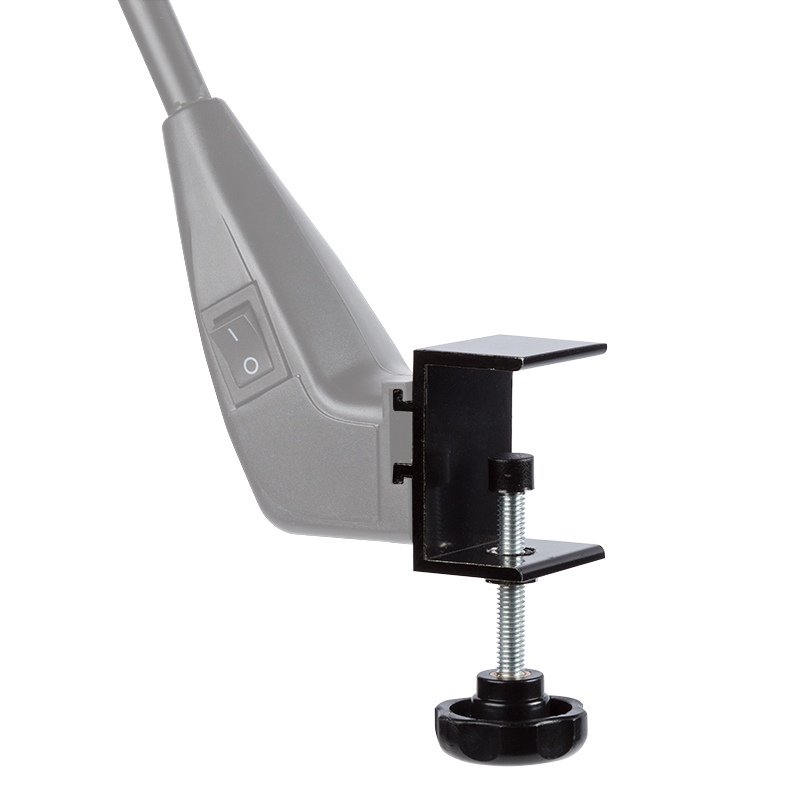 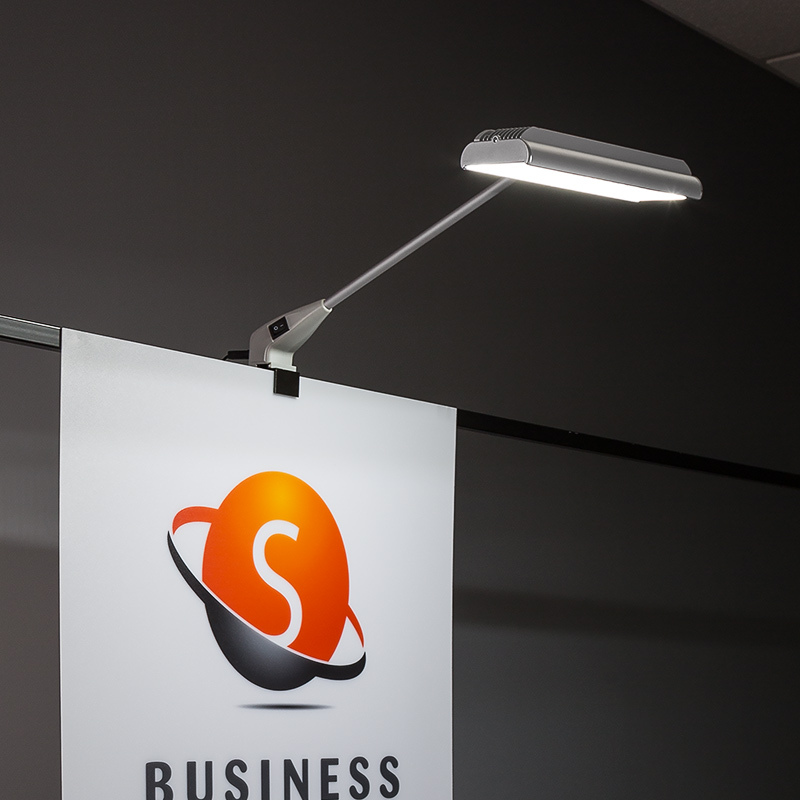 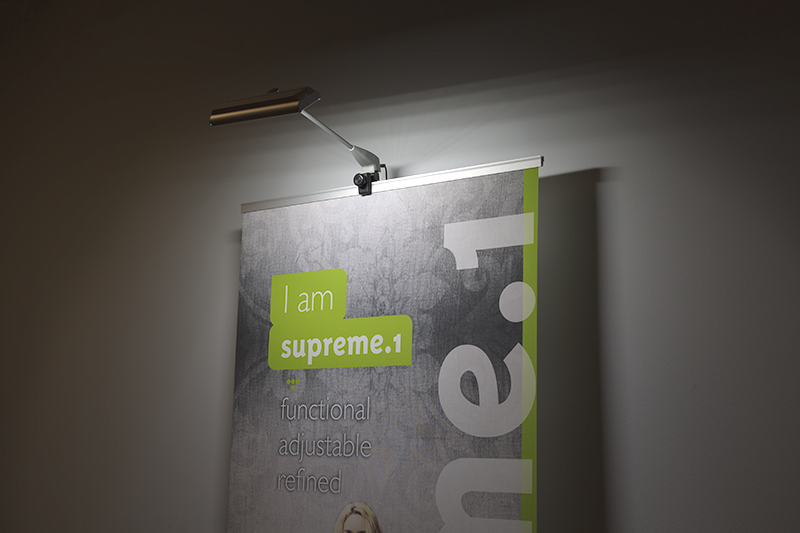 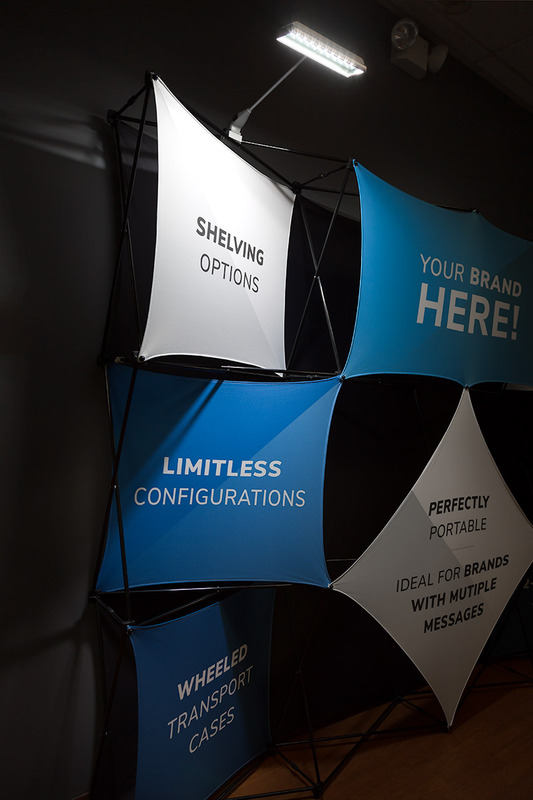 A 360° swiveling, tiltable head allows you to aim the banner light wherever it's needed. 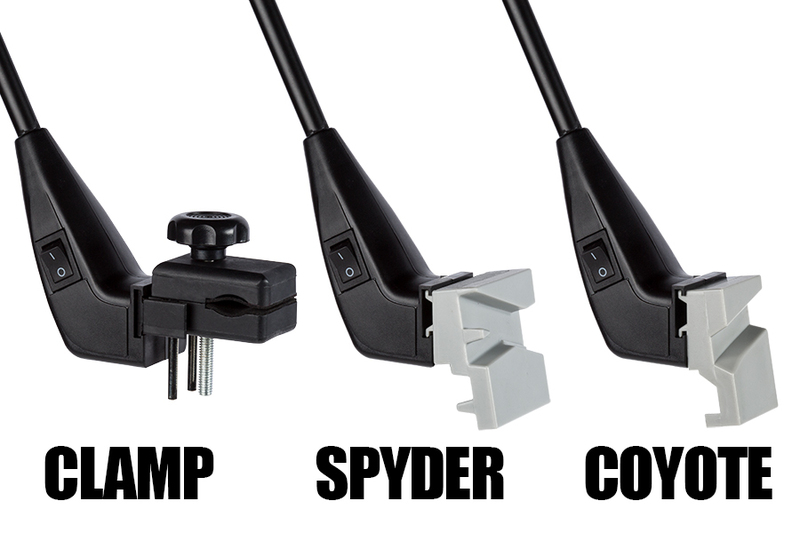 And with a rubberized clamp as well as coyote and spyder attachments, the LED light can be easily mounted on any type of display (mounting attachments are also available in other styles). 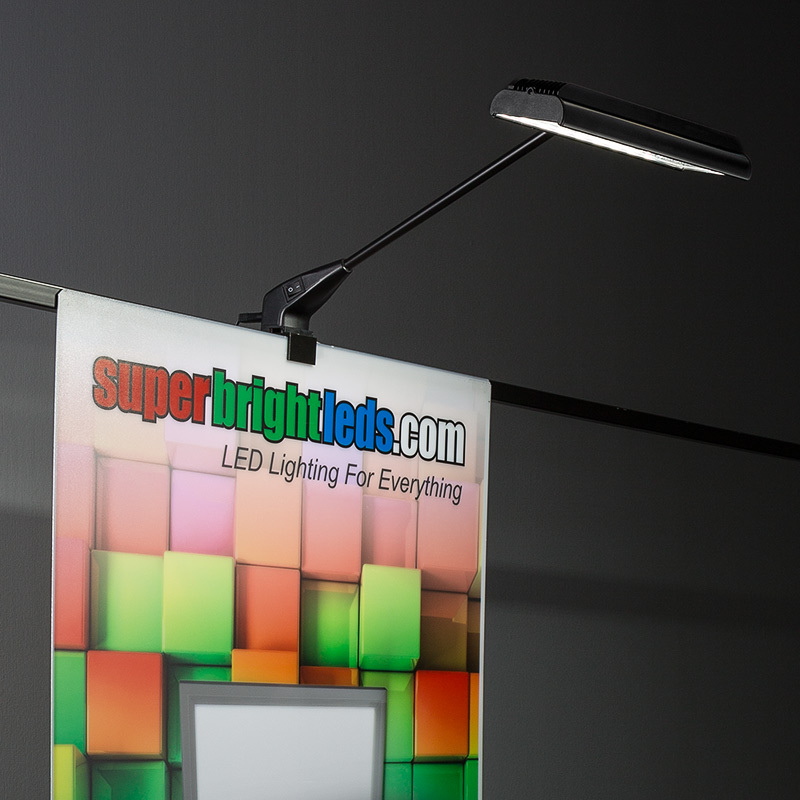 The powerful LED light emits 4,200 lumens of cool white illumination so that your booth or display will stand out from a distance. 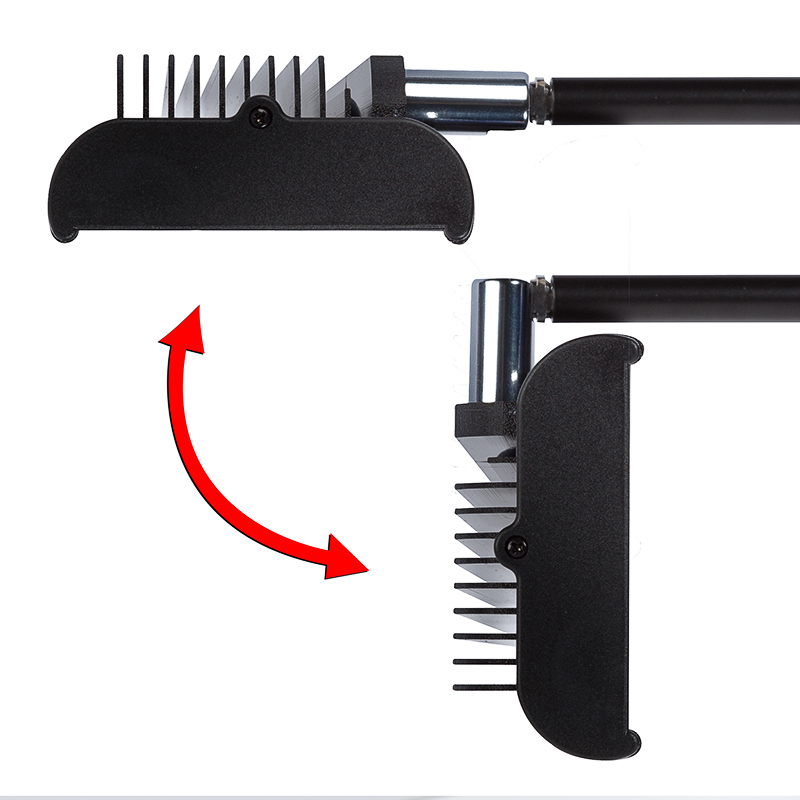 A side-mounted on/off switch allows for easy control, and the light head has an integral LED-cooling heat sink for increased longevity. 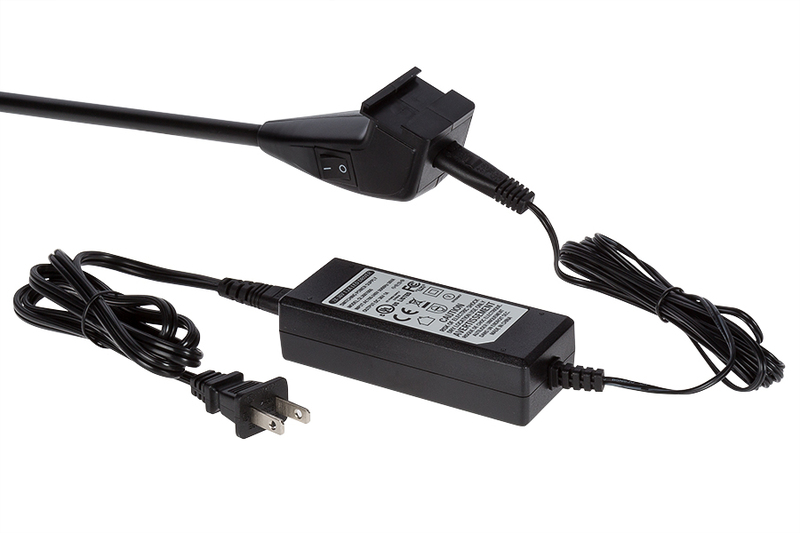 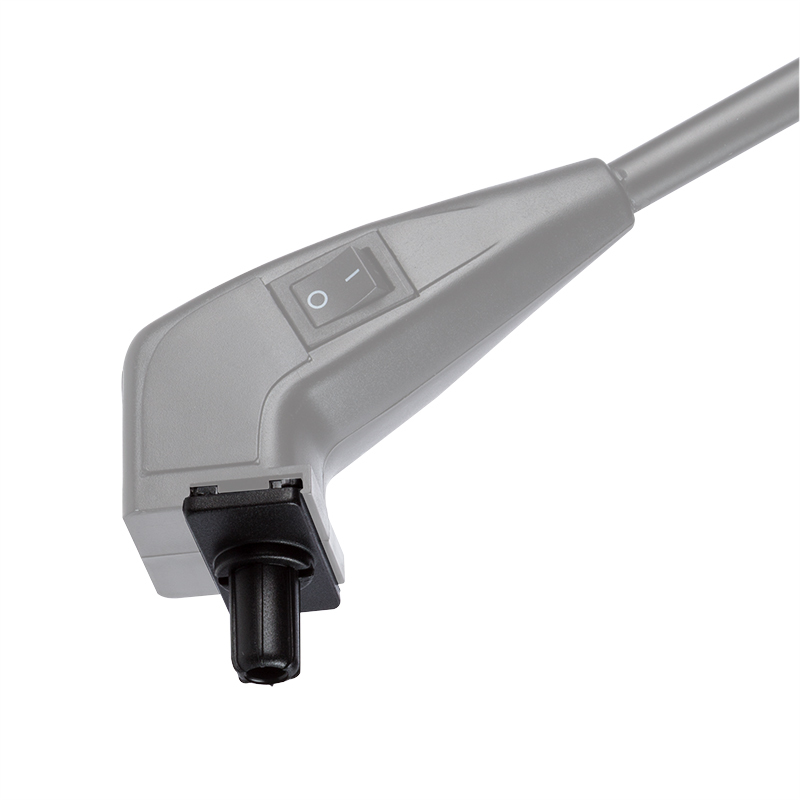 A power supply is included with an 11.75' power cord. 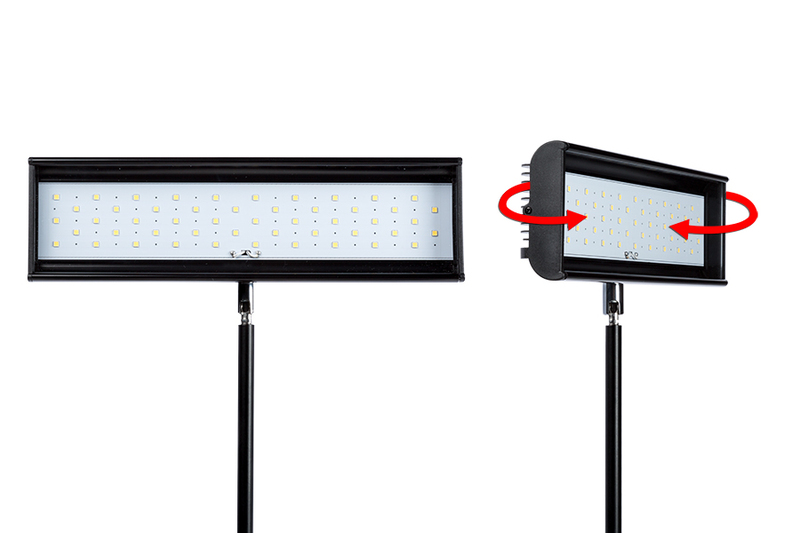 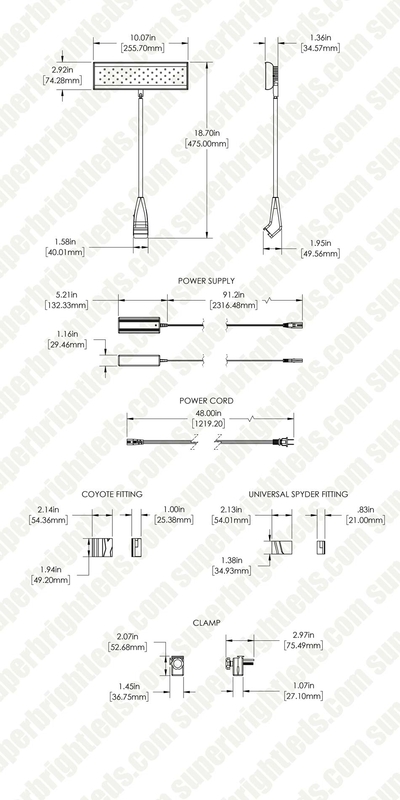 The LED Display Light operates within a wide 100-240 VAC range and consumes 72 watts. 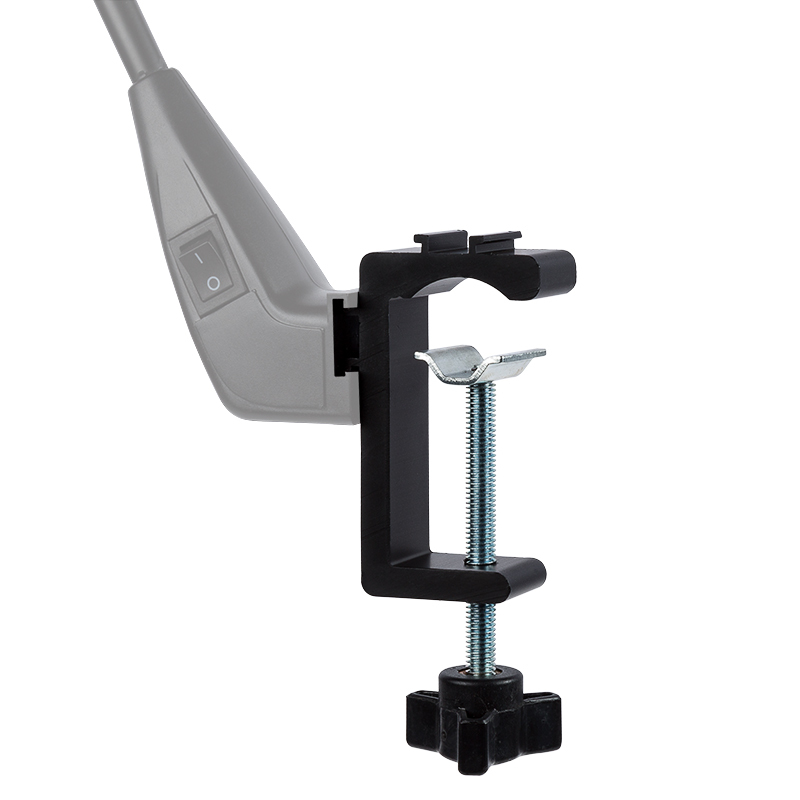 Silver or black finish options are available.